In addition to our Perfection signature range, we also stock a selection of Romantica Bridal Dresses. 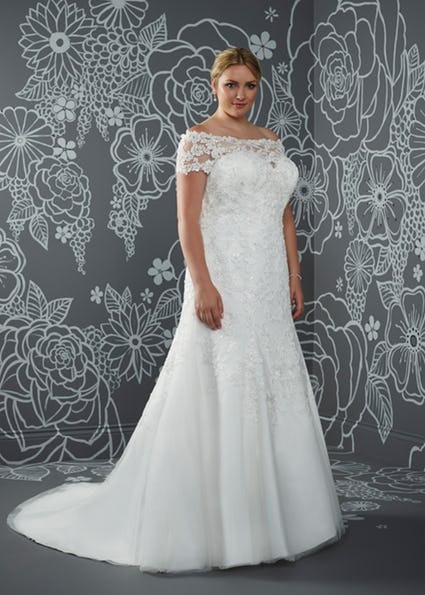 A glamorous fit and flare gown with lace off the shoulder illusion detail, lace bodice and cascading lace motifs. Zip back only. Available in Ivory / Silver or White / Silver. Photographed in Ivory / Silver. 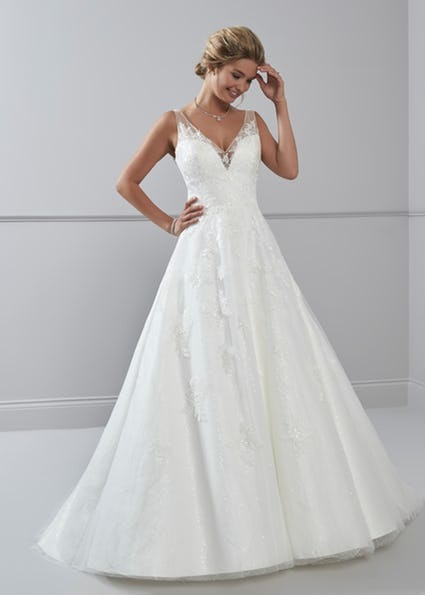 A beautiful ballgown style, with a sweetheart neckline, a lace bodice, lace motifs and finished with a full tulle skirt. **Fastenings**:Tie back. **Available Colours**: Ivory / Champagne or All Ivory. **Photographed in**: Ivory / Champagne. 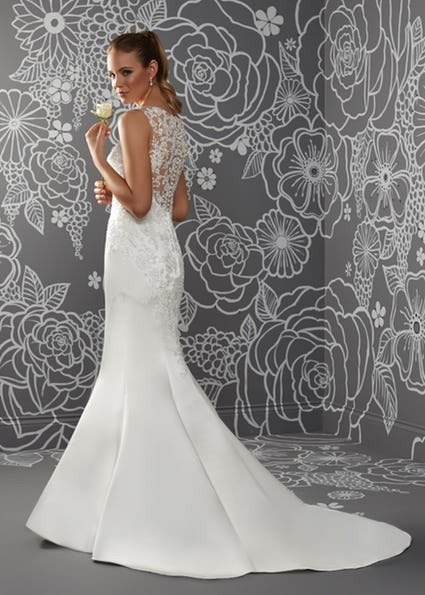 A sophisticated mermaid style, with a v neckline, lace motifs, illusion lace shoulder straps and finished with an illusion train. Photographed in All Ivory. Available in Ivory / Light Rumpink or All Ivory. Zip back. 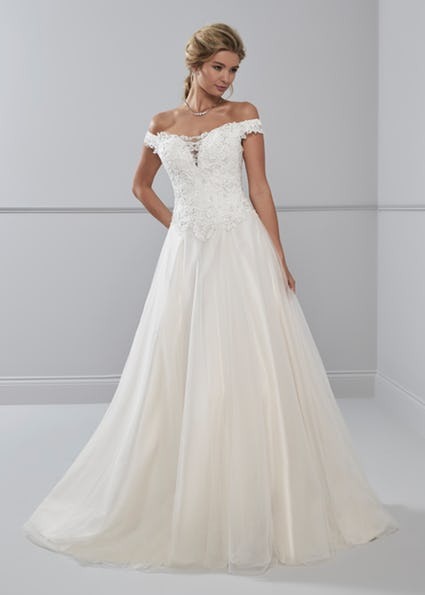 A pretty ballgown style, with a v neckline, lace bodice, low scoop back, lace shoulder straps, hand beaded waist detail, a full tulle skirt and finished with a subtle layer of sparkle. Photographed in Ivory / Champagne. Available in Ivory / Champagne or All Ivory. Zip back and buttons. A pretty tea length gown, with sweetheart bodice, illusion neckline, lace capped sleeves, sparkling hand beaded detail and finished with an illusion back. Photographed in All Ivory. Available in All Ivory or All White. Zip back and buttons. 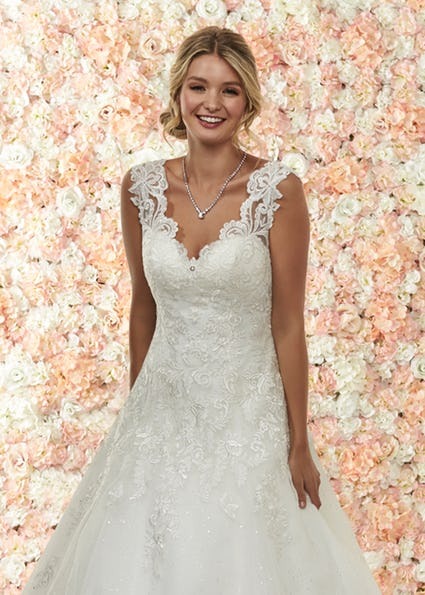 You can view more images of these dresses on the Romantica website.